Science-related events being held during Colorado Science Month, May 2019 (updated April 18). Be sure to check back for updates! Add Your Science Related Event! We’ll post it here and help promote it on social media and through other channels. Description: Inventor, artist, scientist, anatomist, engineer, architect, sculptor, philosopher. Although Leonardo da Vinci died in 1519, his enduring influence comes to life in the new exhibition, “Leonardo da Vinci: 500 Years of Genius.” You will see why the ultimate Renaissance man remains an inspiration for the ages! See nearly 70 of Leonardo’s machine inventions, built using detailed concepts from his famous codices (notebooks), including a helicopter, airplane, automobile, submarine, and military tank. Explore the exclusive “The Secrets of Mona Lisa,” an analysis of the iconic painting conducted at the Louvre by scientific engineer and photographer Pascal Cotte. Be immersed in Leonardo’s works through a multisensory cinematic experience using Grande Exhibitions’ SENSORY4 technology. Test a Leonardo-inspired catapult, and encounter the Museum’s historical enactors, presenting characters who bring a personal perspective to the story of Leonardo. Description: When it comes to our senses, hasn’t the number five had enough time in the spotlight? Now other sensory heroes get some overdue attention in “Our Senses: Creating Your Reality,” an exhibition for the whole family where you play with color, patterns, sounds, scents, and textures to discover there’s so much more to human senses than just the famous five. Description: Join a docent on a behind-the-scenes exploration of the Kathryn Kalmbach Herbarium of Vascular Plants and the Sam Mitchel Herbarium of Fungi, home to thousands of preserved plant and fungi specimens. Who: Students, general public age 8 and over – 15 people max. Description: Public tours of the David Skaggs Research Center last approximately 1.5 hours and typically include stops at the Space Weather Prediction Center, ESRL Global Monitoring Division for information on the carbon dioxide record, the National Weather Service Forecast Office, and Science On a Sphere. Description: Exploring NCAR’s Mesa Laboratory and Visitor Center is fun and educational. Our Visitor Program staff are on-site to answer your questions and assist you on weekdays during business hours. Meet up with our tour guides in the lobby to learn about atmospheric science and current research being conducted at NCAR. Visitors are welcome to enjoy the exhibits on their own any time during public hours. Who: The NCAR Museum and tours are open to the general public, reservations are not required. Description: Honey bees get all the press, but North America’s native bees also deserve some buzz. 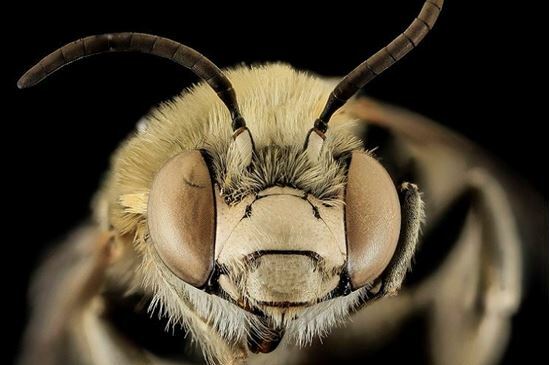 Through interviews with farmers, gardeners, scientists and bee experts, the book “Our Native Bees: North America’s Endangered Pollinators and the Fight to Save Them” explores why these tiny endangered species are essential to our ecosystems and food supplies. Author Paige Embry will share her fascinating adventures, including going on a bee hunt with the world expert on the likely extinct Franklin’s bumble bee, raising blue orchard bees in her refrigerator, and discovering an organization that turns out-of-play areas on golf courses into pollinator habitats. Vaccines are an invaluable tool for preventing disease – can we make them even more efficacious? Description: Best friend, indeed! You will be awed by the extraordinary skills and bravery of some of the world’s most amazing canines. 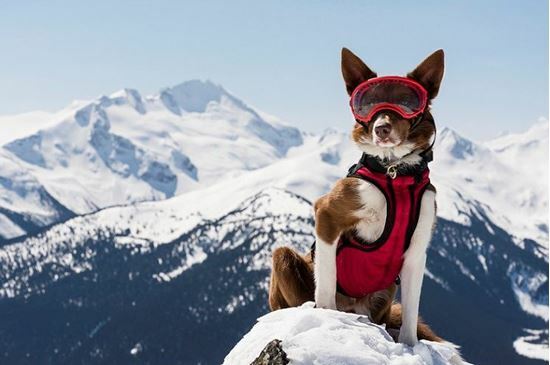 In the new IMAX 3D film, “Superpower Dogs,” journey around the globe to follow remarkable dogs that save lives and share a powerful bond with their human partners. The stars include Henry, an avalanche rescue expert; Ricochet, a Californian surf legend helping people with special needs; and the bloodhound brothers, Tipper and Tony, leading the fight to save endangered species in Africa. During this special screening, director Daniel Ferguson will share behind-the-scenes stories about making the film and watching these amazing animals in action. Description: A night of stars, planets, solar systems and s’mores. Each evening begins with a presentation by retired astronomy professor, Dr.Win Pendleton, including images of the stars and planets that make our solar system and universe unique. After Win discusses each night’s topic we will venture outside for a campfire, s’mores and a chance to look at the planets and other objects through the telescope, weather permitting. The May theme is “The Summer Sky.” Discover a variety of hidden astronomical objects in the summer sky. Description: Join DAS for our monthly open house. We have a very special anniversary coming up later this year: The 20″ refracting telescope at Chamberlin Observatory saw First Light (first time ever used) on July 14, 1894 — 125 years ago. Who: This event will be open to the general public. Description: Mesas and Buttes and Plateaus oh my! Join Dr. Lou Taylor for a geologic journey from Dinosaur Ridge down to the K/Pg boundaries at Trinidad and Raton. Leaving Dinosaur Ridge at 8:00 am sharp, we hop aboard the Dinosaur Ridge Time Machine and travel back in time 65 million years to view what’s left of one of the largest and most recent extinction events. Our tour includes a rollicking play-by-play of the geologic formations down I-25 from Castle Rock to Pueblo by Dr. Taylor. As we pull into Lake Trinidad State Park be ready to duck and cover as we talk about asteroids, climate change, and the end of the world as the dinosaurs knew it! After lunch, we have persuaded Dr. Taylor to lead us on down the road to Raton to see a second and distinct boundary just outside of Raton before heading back to Dinosaur Ridge with an expected 6:00pm arrival home. Cost/Registration: $90 for FODR members, $110 for non-members. Please register in advance. Description: Christine Avena, Rocky Mountain Wild and 100 Women for the Wild member and bat biologist, will lead us on a bat hike. Christine studies the White Nose Syndrome disease in bats and just completed her PhD at CU Boulder. Christine will start the evening with a chat about bat ecology and behavior, followed by a short hike at dusk to watch the bats as they get active! The trailhead is located close to street parking – since it’s a school night, you may come and go as you please. Participants have the opportunity to go home with their own bat house for a small donation while supplies last! Who: This event will be open to the general public but is limited to 20 participants, advance registration is required! Cost: Tickets are free for 100 Women for the Wild members and $10 for non-members. Description: Join us for an evening of music and beer at Woods Boss Brewing Company. $1 from each pint of sold will benefit our work to monitor the impacts of climate change on the American Pika. Enter our raffle to win an adorable stuffed pika, or Adopt-A-Pika on the spot to take home with you. Music will be provided by Rusty 44.
Who: This event will be open to the general public, age 21 and over. Description: Lace up your running shoes and join us in the Colfax Marathon as we raise awareness and funds for Rocky Mountain Wild. This year our goal is to raise $2,000 to support paid summer internships for our 100 Women for the Wild program. These internships provide emerging female leaders in the STEM fields with valuable experience in field biology, GIS, volunteer management, and communication. Together, we can keep breaking down gender barriers in the sciences. Who: Runners and walkers interested in helping fund internships to reduce the gender bias in STEM fields. Registration: Please register at Colfax Marathon site. Under Additional Questions, select Yes for “Are you considering raising funds or awareness for a charity?” and select “Rocky Mountain Wild”. Chisel meet rock. Rock meet chisel. Give us fish fossils and no one gets hurt! Join fishmonger Blake Sullivan as we dive in to the Eocene lakes of Southwestern Wyoming in the world-renowned Green River Formation. The Time Machine leaves the Ridge at 7:00am on Friday and journeys through 52 million years to bring you face to face with adorable aquatic fauna waiting to be discovered by you! After leaving on Friday morning, we will stop for lunch before arriving at Fossil Butte National Monument. Arriving at 4:00pm we will be greeted by Head Curator Arvid Aase and given an after-hours presentation from the Master of fossil fish himself! We will then check in to the Best Western Fossil Country Inn where we will unpack our bags and then anyone who would like to join can hop on the bus and head to the local favorite Caribou Cafe for dinner. On Saturday morning we will gather inside the Best Western Conference room around 7:45am to meet with Adam Lindgren and Dain Hanson, our quarry owners. We will cover our boring liability sheets before scampering off to uncover treasures from the past on a PRIVATE, invitation-only quarry. Lunch will be provided for you to take a short break from the hard work of the day and water and chips will be available as well. We will dig for approximately 4 hours and you get to keep just about everything you will find! Rare species must stay with the quarry, but don’t let that deter you, they are a huge rush to find, but there is a reason they are considered rare! The Saturday dig will conclude and give us time to head back to the hotel and shower before getting a special talk from Adam Lindgren, Dain Hanson, and Blake Sullivan. With a combined 31 years of digging and preparing experience, the trio will be showing you some of our amazing finds and telling personal stories you won’t want to miss! After our talk, the bus will once again be piled high as we head to dinner, discussing our finds and getting to know each other a bit better. Sunday morning we will need to be packed and ready to go before heading up to the quarry. We will leave the hotel at around 8:30am and dig from 9:00 am – 1:00 pm. Lunch will once again be provided, and this is your last day to try and impress us all with that once-in-a-lifetime amazing find! We will depart from the quarry about 2:00 pm and arrive back at Dinosaur Ridge at about 10:00 pm. Your hands full of the amazing specimens you collected! Cost/Registration: Please register in advance. Price based on double occupancy at hotel. Limited number of single occupancy rooms available for an additional fee. 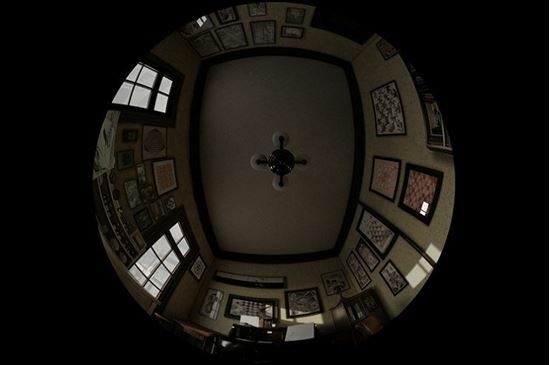 Description: Step into “Escher’s Universe,” a full-dome film based on the life and work of the multifaceted Maurits Cornelis Escher. He had a unique ability to join mathematics, astronomy, optics and geometry together in art. Shapes, three-dimensional reconstructions, dual worlds, unreal buildings or impossible continuities in this show reveal Escher’s continuous search for knowledge. After the film, psychologist Dr. Timothy Sweeny, from the University of Denver, will discuss how the brain impacts the way people see the world around them.